This book is a practical guide filled with real-world examples that will help you discover the best practices of the AngularJS framework, covering its most important concepts such as directives, expressions, filters, and modules and guiding you through the steps of building your very own web application. You will start by learning how to create reusable components with directives, experiencing an expressive way of developing software. Then we will move on to cover data handling, and you will learn how to use the various features of the AngularJS framework to accomplish any challenge related to presenting, transforming, and validating data on a user's interface. After that, we will explore the secrets of the dependency injection mechanism available in AngularJS, bringing reuse and testability to your application by decoupling the layers. The book will also cover the best practices of using the framework and how to automate the test and the project's workflow. 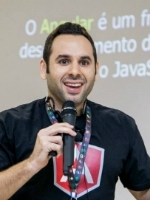 Rodrigo Branas is a software architect, author, and international speaker on software development based in Brazil, with more than 12 years of experience in developing enterprise applications. 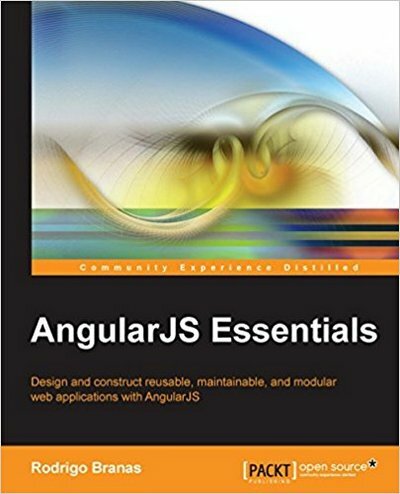 Lately, he has been participating in the development of many successful products based on the AngularJS framework. A major part of these applications were made available to the education industry, and are now used by thousands of users across the country. He graduated in Computer Science and has an MBA degree in Project Management.